Everyone knows that I love food. I especially love to snack. Unfortunately, snacking on the wrong foods is not good for your figure, especially mine. I have always struggled with my weight. I recently lost a lot, and now I am just in the maintaining phase, which is actually harder. Now I don't have a specific menu, and I am little more free in my food choices, which can leave me unsure about what to choose. When I am craving a snack, I want something that is actually filling, but tastes great and is not going to make me regret the choice when I step on a scale. Finding good snacks is much harder than I ever realized. There are tons of great options like fruit, Fat Free yogurt or cottage cheese, nuts(in moderation) and I get so many different cravings, and I need different choices. I especially love my crunchy snacks like chips and crackers. Those, of course, are not diet friendly. 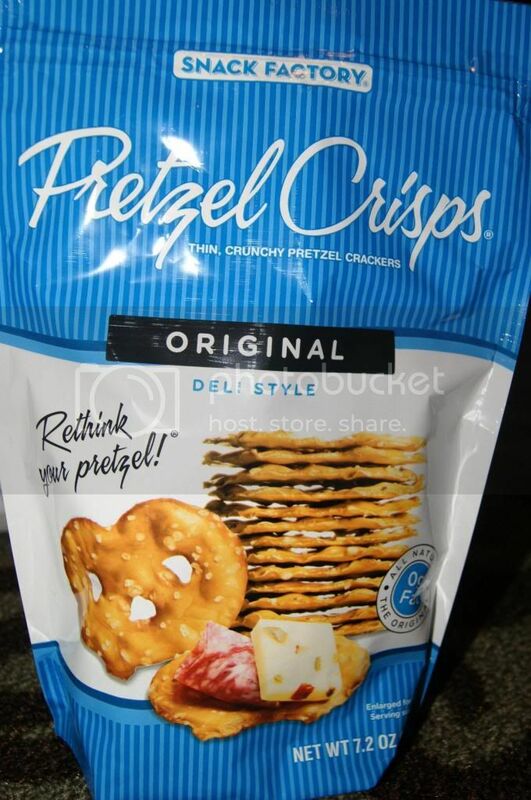 I like pretzels, and they are pretty smart, but plain old pretzels get old fast. 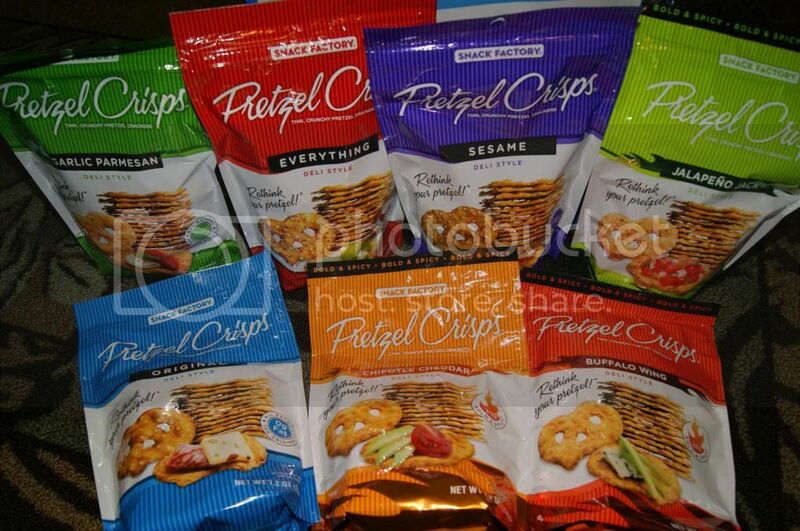 That is why I so instantly fell in love with Pretzel Crisps. 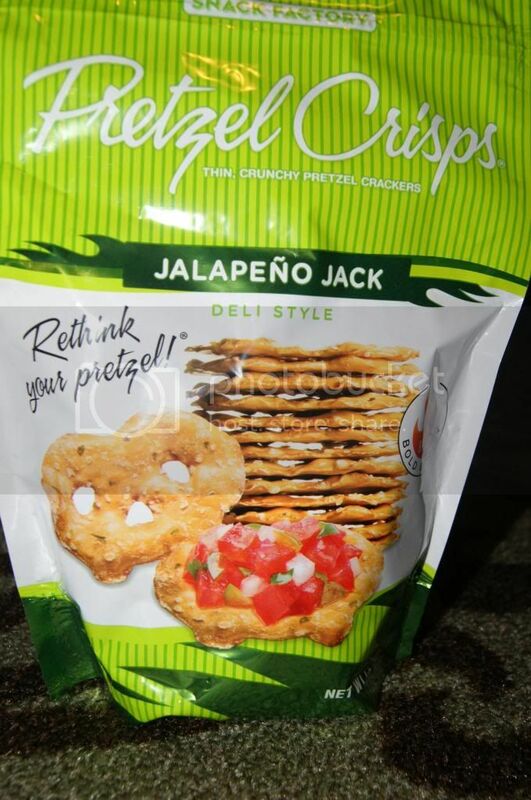 These incredible hybrid snacks are exactly what I needed. They are basically flattened pretzels. 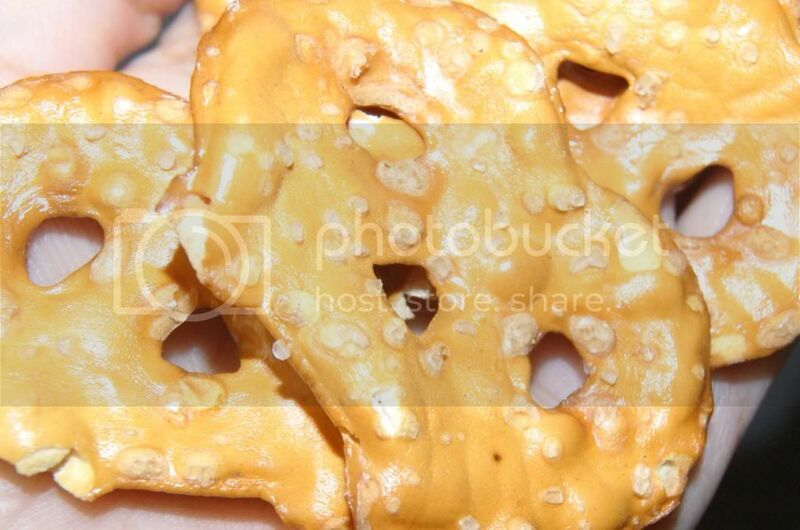 They are shaped like a chip or crackers and even crispier than traditional pretzels. Plus they taste better a thousand times over and come in 7 fantastic varieties. 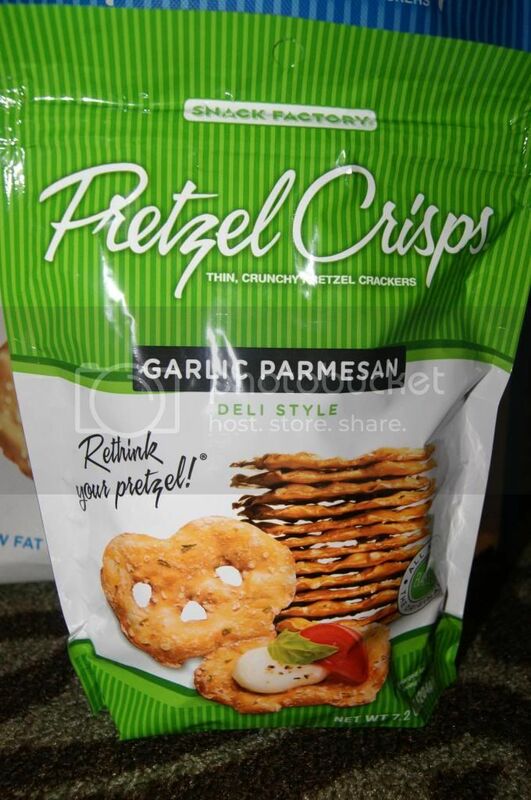 Classic pretzel flavor, redesigned. Flatter, crunchier, and so much more flavorful. They are amazing. They are perfect by themselves, but even more amazing with dip. I used hummus and it was to die for. 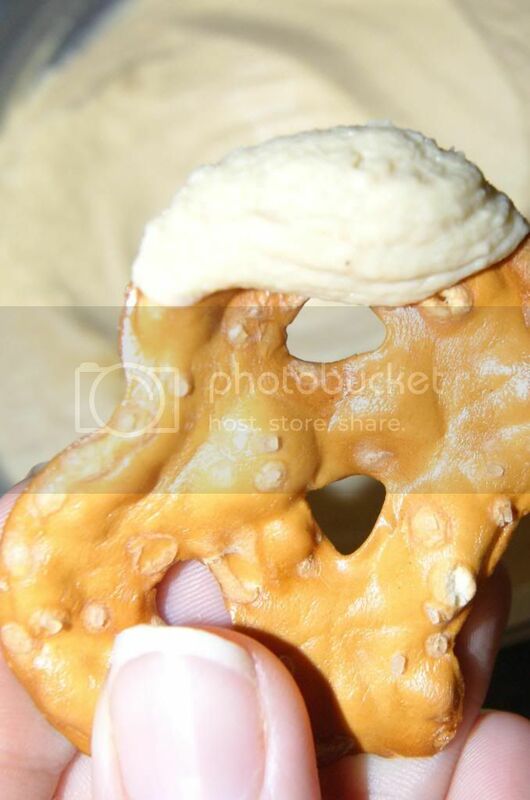 I have never had anything taste better with hummus. This is my new favorite pairing. These were good. Not my cup of tea because I don't like Sesame seeds(or any seeds really), but it still had a great flavor. My hubby loved these and so did my daughter. These are my favorite! 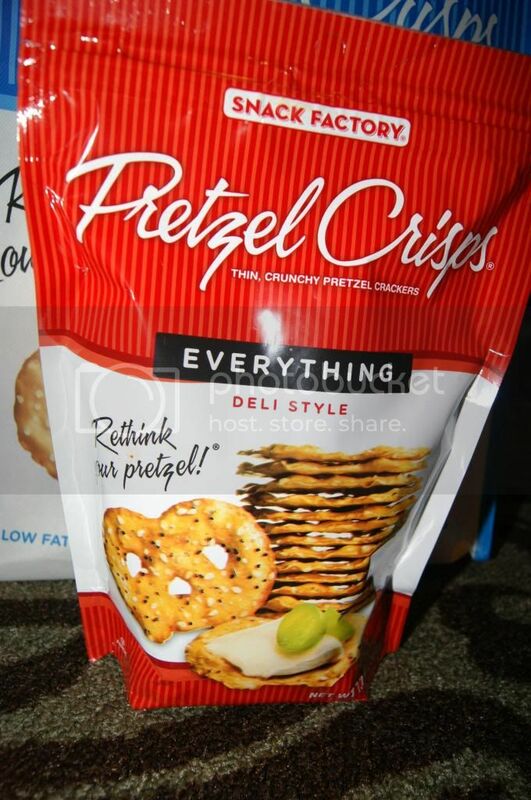 I ate the whole bag in one day(but it replaced my lunch and all my snacks, so it actually helped me eat less fat and calories. These have a wonderful smoky flavor. Just a bit of heat and a delicious cheesy aspect to smooth it together. Fantastic. Again, these were good, but not my favorite because they have seeds. Hubby, again, loved these. I actually crushed some and used them to coat pork chops for frying(not the healthiest I know, they were for hubby), and it was awesome. I took a bit to taste it and it was very unique. Crunchy and flavorful. He loved it. 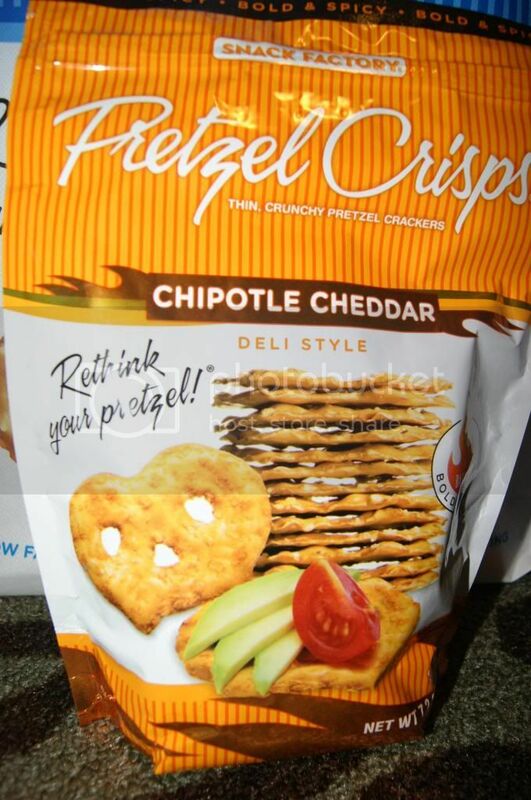 These are pretty close to tying Chipotle Cheddar for my favorite. They are so delicious. They have tons of flavor, but it is not overbearing. I love everything Parmesan so these were perfect. I wanted to try them crushed on a salad, but I ate them too fast, with the help of my hubby and daughter. I am not normally a fan of Buffalo wings. I feel they are too vinegary tasting, but these were excellent. They had a kick, but not too much. I really like them. I bet they'd be great dipped in cream cheese. This one is amazing too. I was worried it would be to hot for me, but it's not. It has a kick, but just enough to make it interesting. I am dying to use these in nachos or a taco salad of some sort, but we ate them all. These are all so delicious, and I love having a wide variety. These are the perfect un-guilty pleasure. 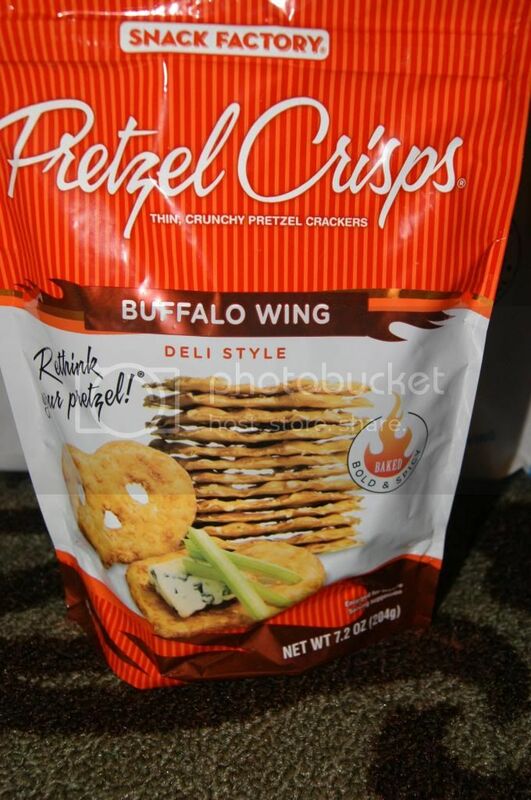 One serving is about 10 crisps, and has only about 110 calories and 2g of fat(they vary a bit by flavor, but not much). One serving is very satisfying, and even if you go a little over, it's not so bad. They keep you full for much longer than chips, and they taste much better than chips or crackers also(in my opinion). My husband, daughter and I cannot get enough. I want to keep them on hand at all times for snacking emergencies, but we love hem so much it will be hard to keep any uneaten. 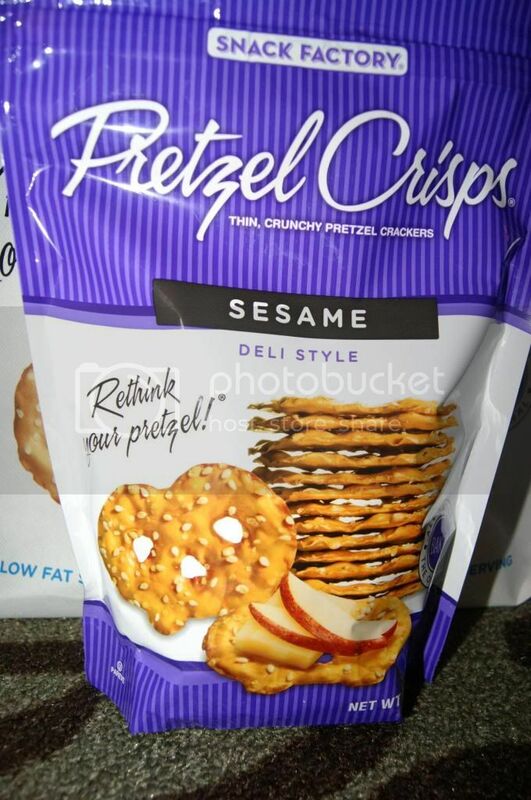 If you want a unique, delicious and less guilty snack for every day enjoyment or holiday entertaining, then you must try Pretzel Crisps Deli Style. There are also Seasonal Indulgents which I am dying to get my hands on. If I do, I will be back to review them for you too.